Buy SSL Certificate from India’s No.1 Comodo SSL Certificate reseller, Nikitha. 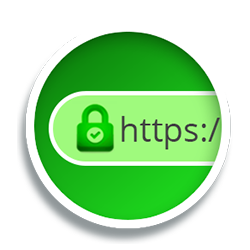 We install SSL Certificate for any type of web hosting. Get a cheap Wildcard SSL Certificate and kick out the hackers of your website. Nikitha offers full service support for Comodo SSL Certificates. Secure Sockets Layer Certificate in short is called SSL certificate. It is a standard website security technology encrypted between a client and web server. It is an era of online shopping. People are more into ecommerce nowadays. Customers share their private data and banking details over the internet. In case your website does not have SSL certificate, your customers’ data can be easily hacked by the attackers. They can take out private information of your clients and take control of your website too. People should feel confident in making purchases with your website. They need to trust you, to give their personal information. With Comodo SSL you can gain their trust. Install Comodo SSL in your website and be worry free. Why buy Comodo SSL from Nikitha? We offer Comodo SSL at unbelievable prices in the market. You need to look no further to compare SSL cost or price with our competitors. We assure you the best possible price to suit your requirements. Comodo SSL is cheap and affordable by all businesses. We are not keen on ringing sales and push products that are irrelevant to you. We assess your requirements and recommend products of best technology and low cost. When you are thinking about purchasing SSL certificates for multiple sub-domains, then Wildcard SSL certificate is the ideal solutions. It can save you tons of money. Comodo Wildcard SSL certificates have got all security features, warranty and compatibility of single domain SSL certificate. We do not spike prices of every additional license. Each Comodo Wildcard SSL comes with unlimited server licensing. It gets issued online within minutes. 99.9% browser recognition, 2048-bit SSL certificates, unlimited physical server licensing has made Comodo Wildcard SSL a great success with our clients. Buy Comodo SSL really easy through online! Yes it has never been easy before to buy SSL. Now you can buy SSL online. Get your website a ‘green lock’ / ‘https’ / ‘green bar’. Talk to Nikitha experts today. Our experts will guide through the end to end process right from enquiry up to successful installation and further support in future.